Dear business partners, with the end of 2016, we have entered the year of 2017. Have you fulfilled your targets for 2016? 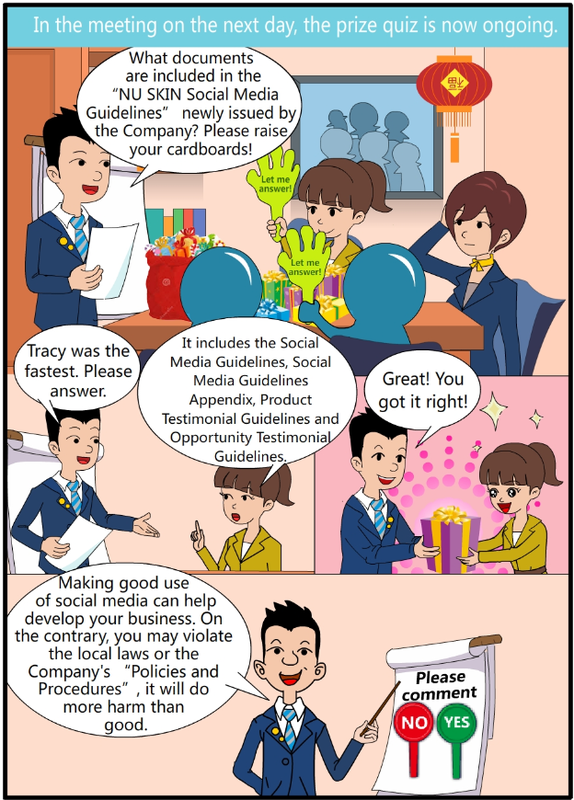 Seeing the personal photos and selfies of our business partners on Facebook, Instagram and WeChat every day, it is clear that social media platforms have become an indispensable channel for our communication in life. 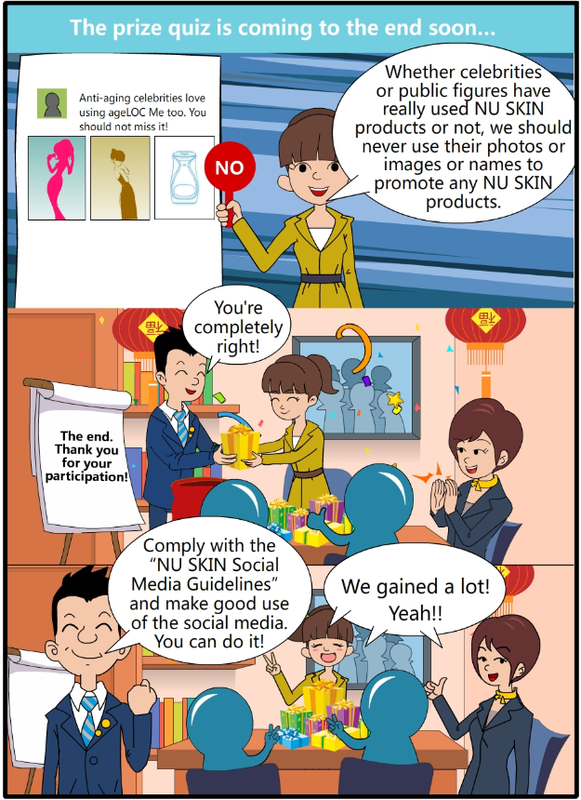 In order to help our business partners to take advantage of the social media platforms for NU SKIN business, NU SKIN has launched an updated “NU SKIN Social Media Guidelines”. 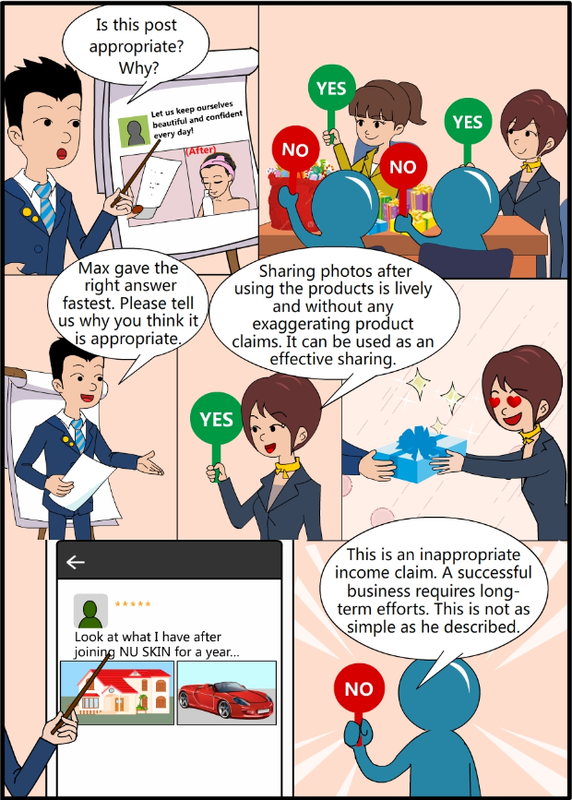 Business partners can make the best use of it. Jack, who was preparing for the New Year party, immediately sent the updated “NU SKIN Social Media Guidelines” to his WhatsApp group. He decided to arrange a prize quiz for his business partners. Let’s see their performance! 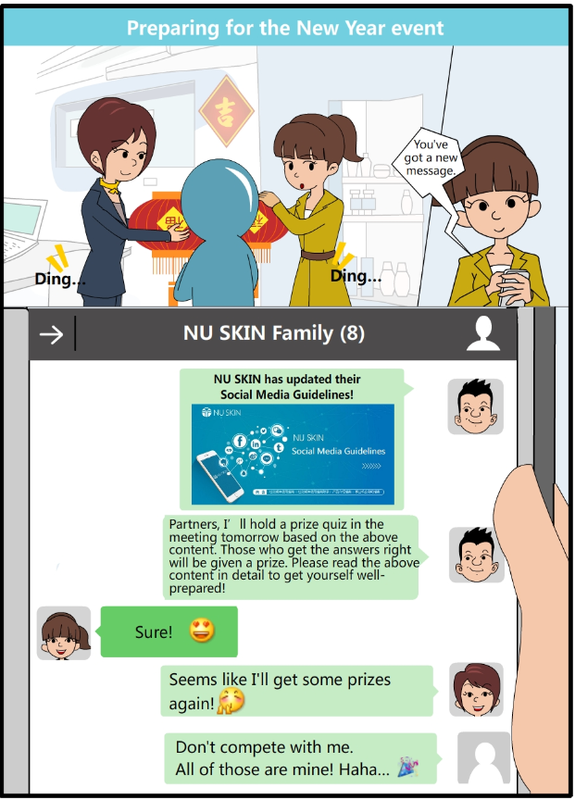 Business partners, do you want to become an expert of NU SKIN social media? 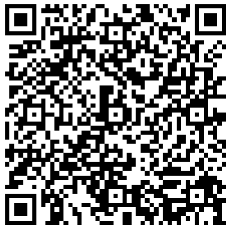 Let’s scan the QR code below to learn more and set a new goal for yourself in 2017!